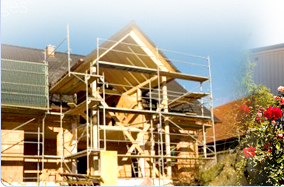 We have been building and remodeling residential homes and commercial buildings in the Pacific Northwest since 1976. Our reputation is unsurpassed for quality, staying on budget, and finishing jobs on time. If you're looking for a solid, experienced company committed to delivering the best job possible, look no further. All custom cabinets created by us are built with pride. We know how important cabinets can be in your life, especially those used daily. You will find our commitment to your satisfaction in the design, building and installation of custom cabinets above and beyond your expectations. After all, happy customers are our best advertisement. We want to take your vision and turn it into reality. We understand that home is a very special part of your life and we want your remodeling experience to be enjoyable. Our years of experience, consistent commitment to quality and many satisfied customers attest to our dedication to your satisfaction. Remodeling really CAN be an enjoyable experience. We invite you to call our office for references, or e-mail us for more information. 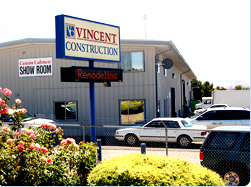 We have a well-established Commercial construction division. Whether it is remodeling an existing building, or building a commercial warehouse or custom office building, we offer experience in all areas of commercial construction. Please consider us for all your commercial building needs.